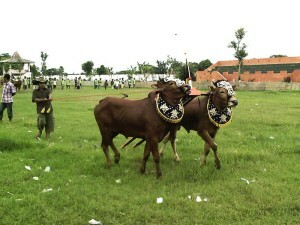 Madura Island is located on northeasterncoast of java island, the island is coverage about 4.078.67 km2. With its population about 4 millions in 4 regencies, unique culture and friendly local people. Mainstay product of this islands are Salt, Tobacco leave, and Batik. 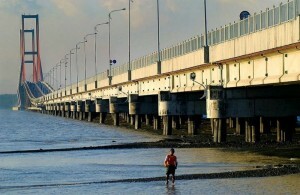 There are some places here you can visit for your vacation, only about 1 – 2 hours driving from Surabaya to Madura island, passing by the Longest bridge 5,4 km, in Indonesia ( Suramadu bridge ). – Meet and greet by our team incharge in airport, train station or hotel ( Surabaya area ), then drive to Madura Island, passing through Suramadu bridge. Visit Batik village Tanjung Bumi, here you can choose your favourite Local Batik, then proceed to hidden waterfall, Toroan. Toroan is a waterfall which is located near the beach. 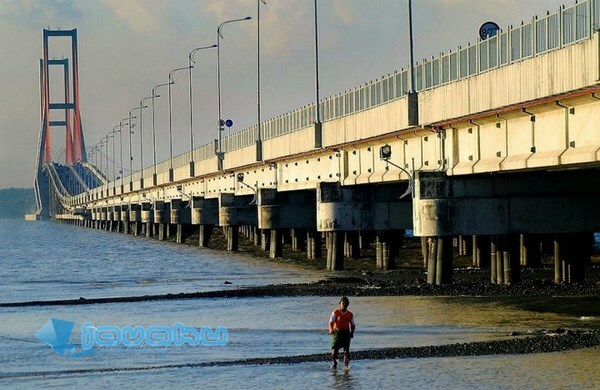 After enjoying the Trip, on the way back, you have a chance to stop for a while to see the nice view next to Suramadu bridge. Then our team will accompany you, driving back to airport, train station or hotel ( Surabaya area ), end of service. This tour package can combine with other Tour package. This package duration is about 9 hours, starting point Surabaya. For those who just spend 1 day in Surabaya, this package might be the nice package for your vacation in Madura island, after enjoy the trip, if you still spent your vacation in eastjava province, you could choose our others tour package, such as Culinary track, Bromo tour, or Surabaya city tour. And in the special event, in Madura island also you could see the most popular traditional culture sport, that is bull racing ( ussually held on special annual traditional event ). Address : jL.Petemon Timur 24-d / Surabaya – eastjava – Indonesia. So, what are you waiting for, invite your family and your friend to have a vacation with our friendly team. See you in East Java – Indonesia.